Southampton manager Claude Puel dismissed claims that contract talks with defender Jose Fonte may distract his side ahead of Thursday's pivotal Europa League clash against Hapoel Be'er Sheva. Both sides enter the encounter locked on seven points with the winner earning a place in the last 32 of the competition, but continuous speculation over the future of Southampton's skipper has featured heavily in the build-up. 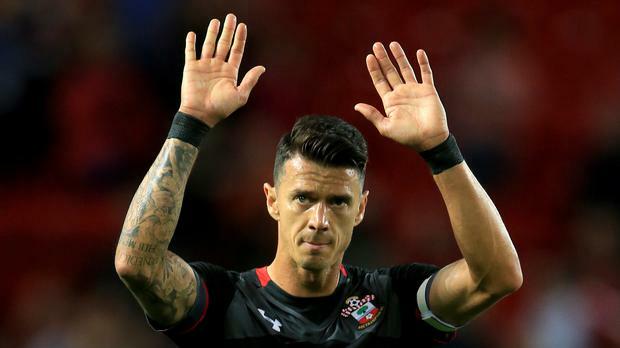 Speculation heightened on Tuesday when Fonte took to his Instagram account to state that he has been informed by Southampton that he will not be offered a new contract. But Puel insists their attention must stay on their Europa League hopes rather than the personal situation of the Portugal international. "It's a situation and discussion between the player and the club," Puel said when asked if the club had begun negotiations over an improved deal. "I cannot give a comment about this. When I see this on newspaper I repeat the most important thing for me is to speak about the team and about the game tomorrow and not just this personal situation, an individual situation. "It's important always for me to respect the collective. The subject for me is to discuss and to speak about the game, an important game, and about the collective and the team." Midfielder Steven Davis believes the club are used to dealing with the pressures of his team-mates being linked with moves away from St Mary's and stated that Fonte's contract situation has not been brought up in the dressing room. "We are well used to it by now," said Davis. "In my time here we have sold a lot of players, a lot of big players, and it shows we are doing things the right way. "It can only be taken as a positive that other teams are interested in players. I know we have a lot of quality in the dressing room and I'd be surprised if other teams weren't looking at us. "We all know what the club means to Jose and what Jose means to the club. He obviously has a personal situation there which has not been discussed in the dressing room. "He's the same character, he's doing his best in training every day and pushing the team on and that'll not change." Davis featured in the Rangers side that reached the UEFA Cup final in 2008 and drew on his own personal experience to insist that advancing to the next stage of the competition can only benefit the club for the rest of the season. "I look back on that time very fondly," Davis said. "It was a step too far (for Rangers) but a great experience. "We are in a good position and want to be involved in all competitions after Christmas. "It's been a positive experience. As players you want to play in every game, but we understand the manager's brought a philosophy to rotate the team a lot. "They (Hapoel) are obviously a good side and they showed a lot of character to come from two goals behind to beat Inter Milan. They are a team that's aggressive. They have got a lot of quality and create a number of chances. "But whenever we're at home we're confident we can win." Dusan Tadic may return to action after wearing a face mask in training to protect his broken nose while Matt Targett (hamstring) is the only long-term absentee as Puel has a fully-fit squad to choose from.